It doesn’t matter how carefully you plan things, or how soon you start packing, it can be easy to miss small details. People who don’t have to move often, or are under a lot of stress (like while you’re moving) can sometimes overlook things. On your ever-growing set of lists, make your list early of items that many people forget to pack, so that you won’t be one of them. Make sure you’ve got all the important papers, such as insurance, tax information, or passports set aside so you won’t lose track of them. When you do this, make sure the folder or box they’re packed into goes into your personal vehicle along with your moving-day kit of food, clothes and toiletries. Do the same with valuables, such as jewelry, coins, or anything else you might have tucked away against a rainy day. 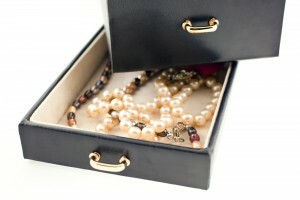 If you’re moving out of town, make sure you visit your bank so that you don’t forget anything in the safe deposit box. Maybe you have a shed out back, or a small storage unit you barely remember, or you might have loaned things to friends. While you’re sorting your items, try to recall what else you own that you haven’t seen for a while. Visit your good friends to see if they still have your books, tools, dishes, or maybe items of clothing. Check the garage, the attic, the basement, or the tool shed. And cheap, small storage spaces can get lost in the pile of bills, especially if it’s not the same place as you’re putting your furniture or boxes for moving. Go through your paperwork to make sure you’re not missing something. This also includes stuff that’s being serviced. Do you have dry cleaning to pick up? Did you take that laptop to the shop to get it repaired? Were any clothes being tailored or any jewelry cleaned? If you have more than one bathroom, but mostly just use one of them, it can be easy to forget to check every drawer, cabinet, or under the sinks. You might have just left behind a spare set of fingernail clippers or a toothbrush still in the package, but you might have a use for those as you move–or just can donate them. One of the most common items that gets left behind are medications, either over-the-counter or prescriptions. This can be especially dangerous if you use a daily pill organizer, which goes into your essentials box, but you forget the bottle with the refills listed on it. Many people get so used to thinking of drapes, hooks, shower curtains, and other parts of decor as just the background of their home. But most of those can come with you, although maybe you would consider just tossing older, worn-out decorations and replacing them later. Even so, it’s polite to the new tenants or owners to not saddle them with the job of removing your old window planters or curtains.